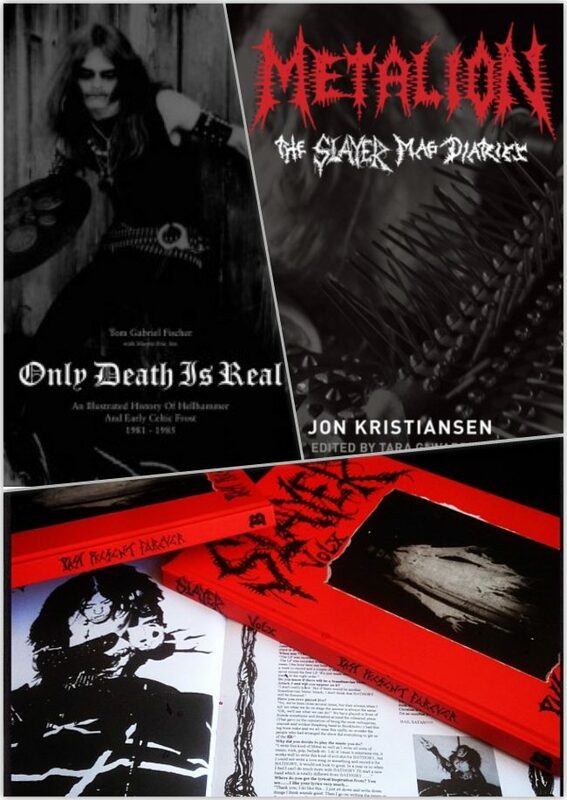 Three of our most intense metal books, combined in one devastating box, available to ship worldwide today. This is a giant 12 lbs. (5.2 kg) collection of massively heavy reading material from Bazillion Points, the three most intense metal books ever written: Metalion: The Slayer Mag Diaries, by Jon Kristiansen; Only Death Is Real: An Illustrated History of Hellhammer and Early Celtic Frost 1981–1985, by Tom Gabriel Fischer; and SLAYER MAG Vol. X, a deluxe hardcover release of the crucial tenth issue of Norway’s infamous Slayer Mag. 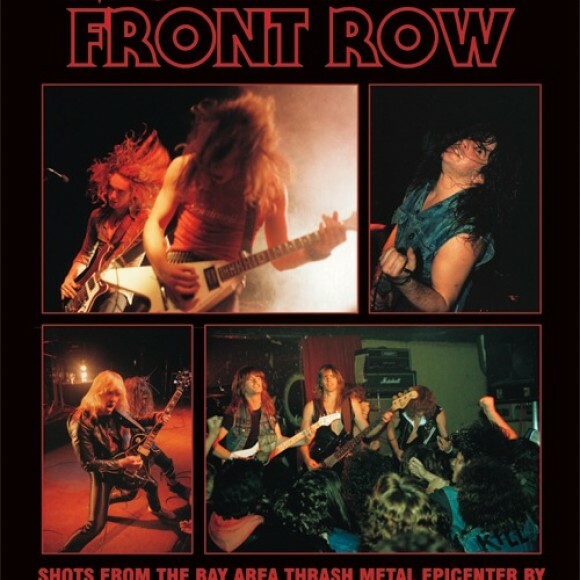 This formidable oversized hardcover runs 288 pages (including a 32-page color section), and combines hundreds of unseen early Hellhammer and Celtic Frost photos with a vast treasure trove of artwork and memorabilia. A substantial written component by Fischer details his upbringing on the outskirts of Zurich, Switzerland, and the hardships and triumphs he faced bringing the visions of his groundbreaking bands Hellhammer and eventually Celtic Frost to reality. 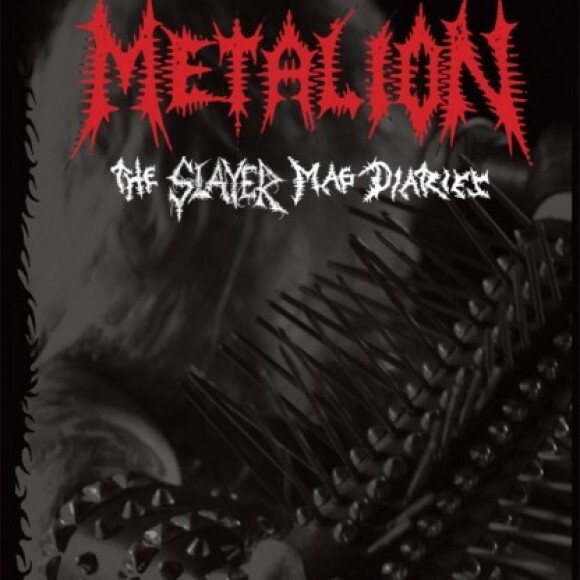 In addition, the book includes an introduction by Nocturno Culto of Norwegian black metal act Darkthrone, and a foreword by noted metal author Joel McIver. 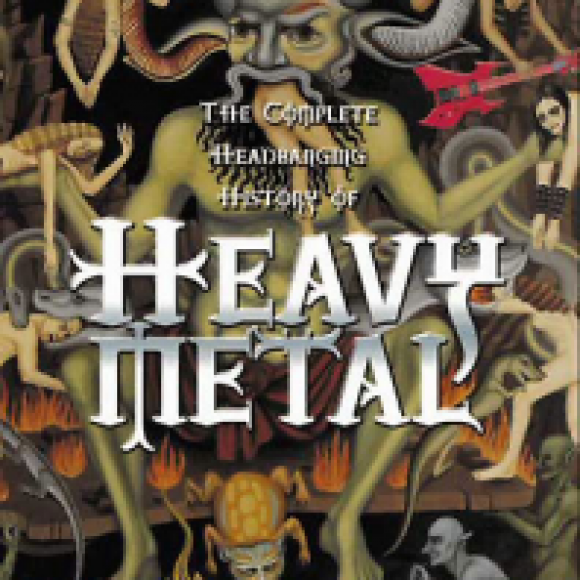 Without question, Only Death Is Real goes farther than any other source in exploring the origins of underground heavy metal.